Cardi B partied the pain away last night with Teyana Taylor and Bad Bunny. When Cardi B announced that she and Offset were no longer romantically involved, nobody could have expected it. Sure, a good chunk of fans believed that they wouldn't last in the long-run. However, did anybody seriously believe that they would split just months after having a baby together? While Bardi appears to be calm throughout her relationship woes, she decided to let loose at night and party during Art Basel in Miami. The rap superstar hit E11even Nightclub in Miami for some drinks and dancing, joining Teyana Taylor and Bad Bunny at the party. Cardi looked to be carefree, smiling big and dancing with her fans. She even sang along to one of her songs as it blared on the loudspeaker. All eyes were on Cardi as she had announced just the night before that she and Offset were getting a divorce, perhaps signalling that their relationship was more of a business partnership all along. With Offset's album dropping next week, it's almost guaranteed that people will be tuning in in droves to check if he addresses the split. 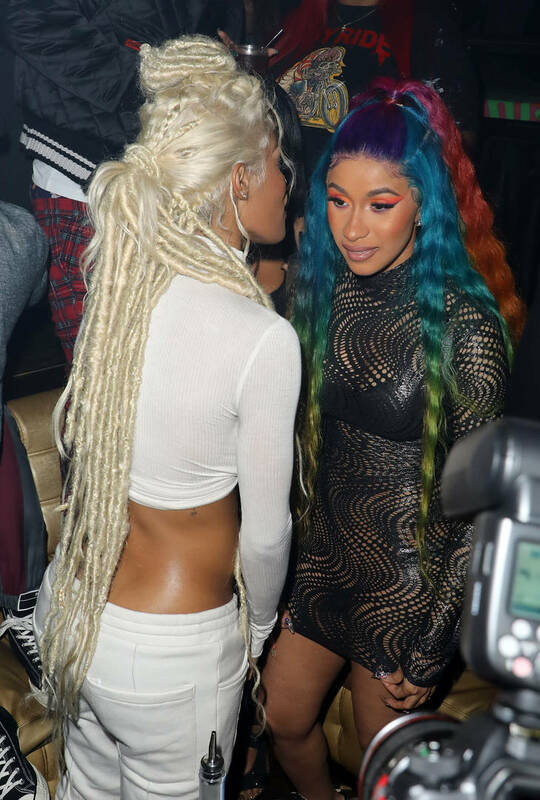 Bardi wore multicolor hair at the club (somebody has to rep the rainbow now that Tekashi is locked up) and danced with Teyana Taylor and her collaborator Bad Bunny. The rapper gave Teyana a long embrace when they met at the party. 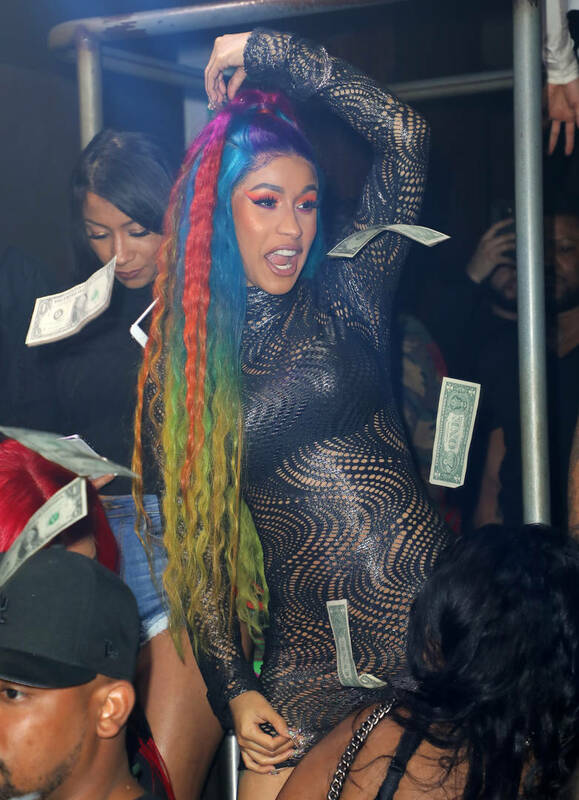 What do you think of Cardi's night-out look?